The brave Nordic warrior unleashes a powerful strike with a mighty war hammer. The brunt of a sword attack hits the right hand, but the damage is minimal thanks to the protection provided by the Odomar Viking Leather Gauntlets. 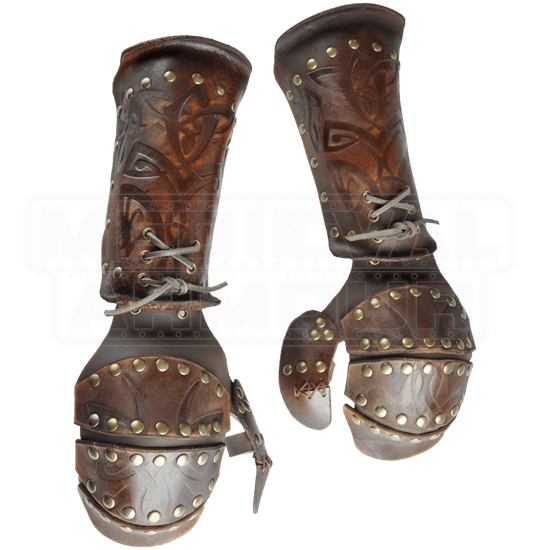 This armguard set includes a pair of bracers and demi-gauntlets. Antique-brass plated rivets and flared edging enhance the defensive power, while the Norse vine patterns suit a Viking raiders style. 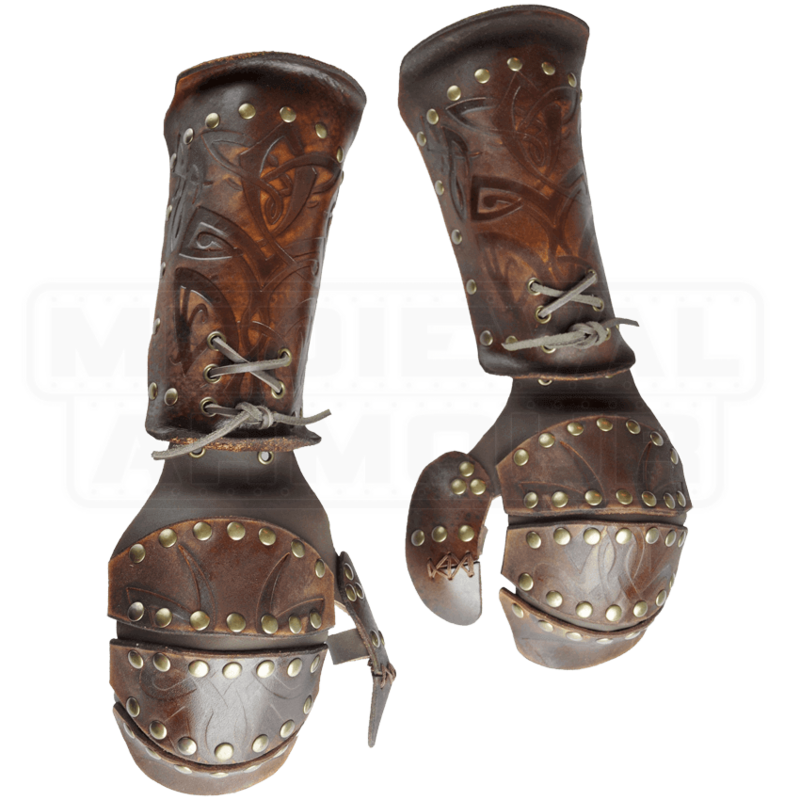 Secure the bracers to the forearms with the included leather lacing. Eyelets at the wrist combine the half-gauntlets with the bracers. A strap at the palm, and one at the thumb fits the armored glove to your hand.